"Of course Christian Hauss may and probably did have children by his second wife as we have drawn from the records the names of six sons and two daughters, with the name of one other male whom we have been unable to place. The names of these six sons are as follows: Reinhard, Johannes, George, Herman or Harmonas, Conrad and Peter. The two girls were named Maria Margaretha and Elizabeth. There is also a male name Elias." It is to be assumed that the children who came to America with Christian Hauß soon became of marriageable age which was very young at that period and made homes for themselves. 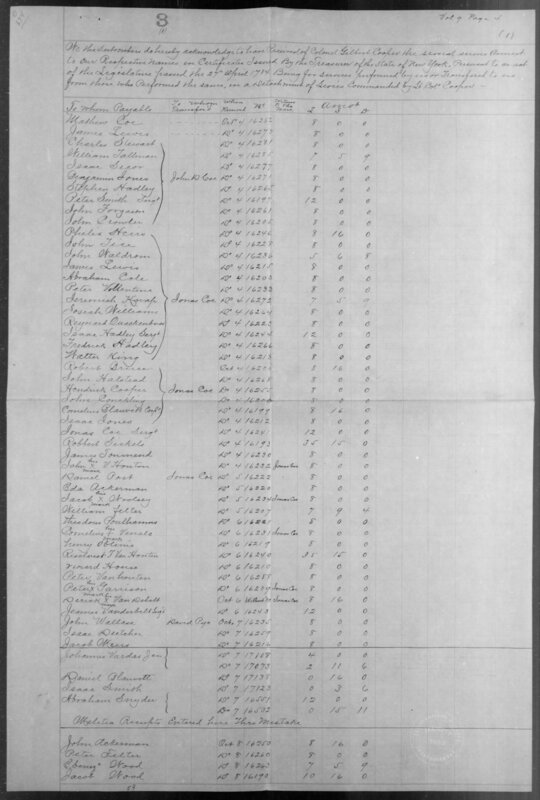 Christian Hauß and some of these children soon reached the Mohawk Valley and others settled elsewhere and before following him up the Mohawk we will list some records as found along the Hudson River and in Schoharie County. Up to this point in our family history, we have been able to reference, update, ammend, an elaborate on the book, The House Family of the Mohawk. We have even been able to answer questions that were posed in that book, such as the date and details in the death of Johann Christian Hauß's first wife. But it's here in our story that we'll actually veer away from that book (and the original 1933 source material by Melvin Rhodes Shaver and Frank D. Duel), which concenrates on the decendants located in the Hudson River Valley. We will expand on that, and add the lines of Johannes and Rheinhardt, who went farther south (New Jersey never gets any respect), as well as try to uncover the identities and genealogies of the other children. Please be aware that these geneologies are constantly being revised, expanded, updated and/or corrected.  It's on the web because it is meant to be a living document, designed to grow, change and branch off with the family, itself. If you have any changes, additions, complaints, and/or outright insults, PLEASE e-mail me here. Daniel's son, Henry House (1822-1882) and his wife, Sally. The identities of at least some of the children of Christian Hauß are contained in an as-yet unfinished book by another family genealogistthe exact source cannot be revealed here, out of professional courtesy, until her book is publishedbut she has discovered an old ledger from a merchant living in the Albany/Schoharie/Mohawk region, and under the "Haus purchases" section is the account of "Mr. Harmen House," dated 1745-1747. In this section there is also a note that "cash was received from your brother Coenrat." Others mentioned in the ledger include Mr. Jost/Joseph House (starting in 1737), Mr. Jurrie House (starting in 1742/43), and Mr. Conraet House (beginning in 1734/35). One possible son can be found in a land transaction dated Sept. 1, 1716. Some property was split on the Harmon Van Slyke Patent between 32 persons by letters patent, of whom No.23 was Elias House. We have no proof that Elias was a son of Christian, but from the early date of the above transaction we might safely say that he was. October 18, 1732: Parents, Lambert Stearnberg and Catherine Feller; Child, Christina; Sponsors, Coonraad Haus and Christina Walraad. Parents, Johannes Mehr and wife Christina; Child, Coonrad; Sponsors, Coonraad Haus and Engelga his wife. A little girl of Herman Haus baptized Oct. 1, 1749. A little girl of Jurgen Haus baptized Oct. 9, 1749. Without a doubt the same Harman Haus and Jarrie Haus mentioned in Schoharie church records in or about 1737. We have very little else regarding Harman, but Jarrie (George) shows up often in New York records. In fact, the line of descendants from Johann Christian Hauß that is most closely followed in The House Family of the Mohawk runs through George. It's a proud line of hardworking people who fought for everything they could get in life. But the quote from the book, above, is most likely incorrect, as George would probably have been in his seventies or eighties during the Revolutionary War. It is entirely feasible that his son Conrad, would have been about fifty, and did fight alongside his sons (well, three of them, anyway, as at least one fought with the Loyalists). Parents, George Hauss and wife Maria Elizabeth; Child, Maria Elizabeth baptized Oct. 30, 1734; Sponsors; Maria Elizabeth and Herman Haus. Parents, Jurrian Haus and wife Catherine Earhart; Child, Maria Dorothia, baptized Jan. 7, 1736; Sponsors, Hendrick Kneeskern and Maria Dorothea Warner. Parents, Jurrian Haus and wife Catherine Earhart; Child, Johan George, baptized Nov. 8, 1737; Sponsors, John Jurria Ecker and Elizabeth Margaret Warner. Married Jan 20, 1761 George House, George House's single Son, to Maria, James Gamal's single Daughter. CONRAD HAUS was born 7 Jul 1729 in Schoharie, Montgomery, New York. He married Engelge (Angeline) (1740-1790), and they had the following children: Harmanus House (1734-1816); Christian House (1755-1804); George House (1757-1833); Johnathan Joseph House (1760-1824); and Nicholas House (1760-1829), all to be detailed later in this chapter. Conrad fought with rebel forces during the Revolution and was killed at the battle of Oriskany, on 6 Aug 1777 in Oriskany, Oneida, New York. MARIA ELISABETH HAUS was baptized Oct. 30, 1734 at the Dutch Reformed Church of Schoharie. Sponsors; Maria Elizabeth and Herman (Harmonius) Haus. No further information. MARIA DOROTHIA HAUS was baptized Jan. 7, 1736 at the Dutch Reformed Church of Schoharie. Sponsors, Hendrick Kneeskern and Maria Dorothea Warner. No further information..
JOHANN GEORGE HOUSE II was baptized 8 Nov 1737 at the Dutch Reformed Church of Schoharie. Sponsors, John Jurria Ecker and Elizabeth Margaret Warner. On 20 Jan 1761 he married Maria Gamal at the Dutch Reformed Church of Stone Arabia. They had the following children: Maria Elizabeth House (b. 23 Jun 1756 Herkimer, Herkimer, New York); George House III (b. 19 Apr 1775 in New York); . Rheinhardt married around 1715, to a woman named ANNA ELISABETH (the last name varies in different documents), and was naturalized on January 10, 1715/16 as "Rynier Hous" and listed in Phillipsburgh, New Jersey (in present Westchester County). Eventually, he moved to Hackensack in Bergen County, and there are even records that show he (or his children) could have moved to Haverstraw, New York, later in life (see image at right). Parents, Reinhard House and Anna Elizabeth; son John Heinrich born Nov. 5, 1715 at Yonkers, baptized on Pentacostal Sunday 1716 at New York City, sponsors, John Marcels Koning, John Heinrich Gussinger and wife Anna Elizabeth. Parents, Reinhard Hauss and wife Anna Elizabeth; child Christian born Aug.2, 1722 at Tapan, baptized Aug 5, 1722 at Hackensack; sponsors, Philip Zerba and Christine Velden (Felton). 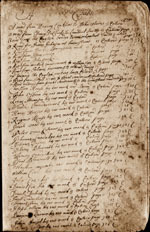 The "Simmendinger Register" lists Rheinhardt as living in Hackensack in 1716 with wife Anna Elizabeth and a child, near the children of his stepmother, the Beckers. JOHANN HEINRICH HAUS, born 5 Nov 1715 at Yonkers Fall, Westchester Co., New York. Baptized on Pentacostal Sunday, 1716 at New York City; Sponsors John Marcels Konig, John Heirich Gessinger and wife Anna Elisabeth. He married Anna Catherine Jonger (Young) on 11 Jul 1736 at Peter Lossing's home in Clove, Beekman Patent, in Dutchess County (New York City Lutheran Churchbook) and they had children baptized at Fishkill Ref., Loonenburg Lutheran, and Tappan Reformed Church: Everardus (bp. 6 Oct 1745); Annatje (b. 1 May 1747); Catharina (? ); Sarah (bp. 14 Mar 1756). ANNA JULIANA HAUS, born 5 Feb 1718 in Philipsburg, Westchester Co., New York, and baptized on Pentecost in New York City, sponsors Johannes Reitelsdorffer and Anna Julianna Mutschin (New York City Lutheran Churchbook). She was confirmed 16 Oct 1734 (New York City Lutheran Churchbook). SUSANNA HAUS, born 9 Apr 1720 at Tappan and baptized 26 Jun 1720 at Hackensack. Sponsors Johann Niclass Neidebber and Susanna Klugin (New York City Lutheran Churchbook). JANNET HAUS, married Thomas Meredic in 1737. CHRISTIAN HAUS, born 2 Aug 1721 at Tappan, New York. Baptized 5 Aug 1722, at Hackensack (New York City Lutheran Churchbook); sponsors Philipp Zerbe and Christina Velden (Felton). Married Elisabetha. JOHANNES HAUS b: 1726. Baptisms, Lutheran Church, New York City, May 29, 1726. Parents; Reinhard Haus; Anna Elisabeth. Child: Johannes, 9 wks. old. Sponsors: Hannes Moots & Anna Marie Veltin. MARIA HAUS, baptized at 6 weeks old in 1728. Sponsors Martinus May and wife Maria (New York City Lutheran Churchbook). RHEINHARDT HAUS, baptized 21 Aug 1733 in Tarrytown, Westchester, New York ("Reindert"); Sponsors Johannis Clemens and wife Marritie (Tarrytown Reformed Churchbook). He had a son named Rheinhardt, as well, and both Rinard House Sr., and a Rinard House Jr. appeared in Gilbert Cooper's Militia here and here, and in Col. Ann Hawkes Hay's Regiment here. His other son, John, subbed for both of them at times, according to his military pension. John served with 2nd Lieutenant Thomas Blauvelt, then married Margaret Blauvelt later in life. 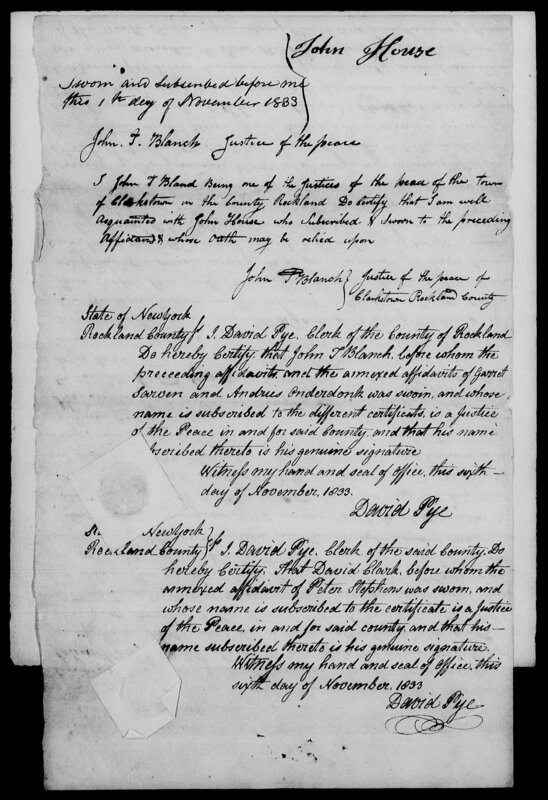 A "John House" who served in Gilbert Cooper's Militia and Ann Hawkes Hay's Regiment testified in 1833 for a John J Blauvelt, who was applying for a Revolutionary War Pension and Bounty-Land Warrant (Application Files Publication Number: M804, page 14), as well as for Rinard Hopper, whom he served with in New Jersey (Page 24). John died at Clarkstown, New York, on 1 Jan, 1845. 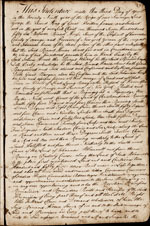 "Ramapo Lutheran Church Records, 1750-1817" in Proceedings of the New Jersey Historical Society, Vol. VIII, No. 1 (April 1913), p. 7: "Reinhart Willers, bp. 11 Sep 1757 Ramapo Lutheran Church (no mother's name in bp. record) (wit: Reinhard Hanns [Haus?] and his wife." Anna Elisabetha was probably born in Großaltenstädten, Herzogtum Solms-Hohensolms, and came to the New World with her father. Sometime in the 1720's, she married Johann Conrad Rickert in Schoharie, New York. He was the son of Palatine immigrant Conrad Rickhardt (Hunter Lists #597), who had brought their family to the New World from 6466 Niedergründau (5 km. west of Geinhausen, in what is now Hessen, Germany). His mother was Conrad Sr.'s first wife, Kunigunda Fischer, and he was baptized on 28 Feb 1703, according to the Niedergründau Churchbook. Kunigunda had died in September of that same year (buried 25 Sep 1703, aged 22 years), and Conradt Sr. married again, to Sara Catharina Schiefer on 8 Jan 1704, in Niedergründau. Five years later, members of the Rickhardt and Schaeffer families sailed to the New World, side-by-side, in the Great Palatine Migration. They sailed in the third party of Palatines between June 5-10, 1709, traveling down the Rhine to Rotterdam. The "London Lists" made at St. Catharine's, show Conrad Sr. was 31 years of age, Lutheran, and a baker by trade. In late January of 1710, the family sailed from Plymouth, England, to the New World. After a period of quarantine on Governor's Island in New York Harbour, they settled at East Camp, Livingston Manor, N.Y. In 1712, they moved to Hartman's Dorf, Schoharie, N.Y. Conrad donated land here for a Dutch Reformed Church and cemetery. 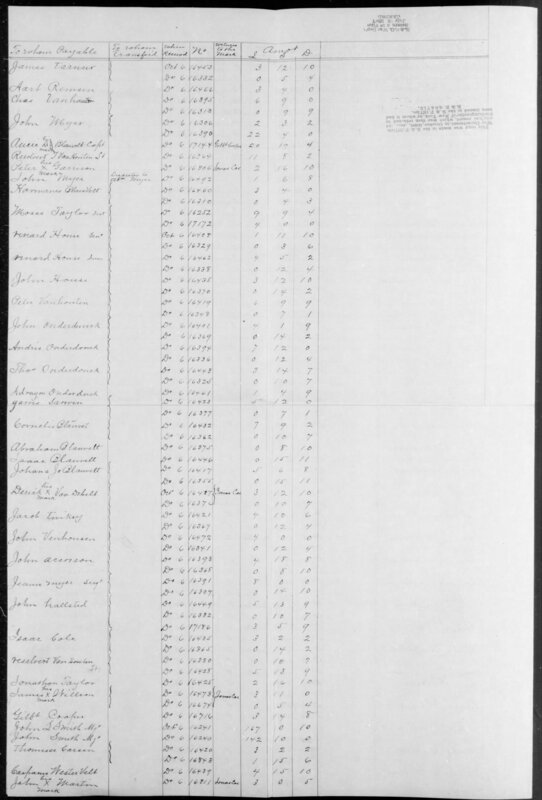 The 1714 census shows the family living at Schmidtsdorff, Schoharie. At the time of the marriage of Johann Conrad Jr. to Anna Elisabetha Hauß, the Rickhardt family probably lived along the Mohawk River on the Burnettsville Patent, opened on January 17, 1722, when 100 acres of Indian land was granted to 39 families, including Rickhardts... but they returned to Schoharie because of trouble with the Indians. Conrad Jr. joined the Schoharie Reformed Church on 8 Oct 1748, and much of the family record is drawn from its churchbooks. Parents: Conrad Rickart and Elizabeth Hous; Child, Johannes baptized May 19,1728; Sponsors; Johannes Schaffer and Anna Maria. This Elizabeth was a daughter of Christian. Parents; Conrad Rickart and Elizabeth Hous; Children, Johan George and Conrad, twins, born July 7, 1728; sponsors; George Zimer, Johannes Layer (Lawyer), Maria Eliza Zimer and Elizabeth Layer. Elizabeth Shaffer died March 28, 1749 aged 85 years, Census of Palatinate on the Hudson River 1713-1714 Elisabeth Schaffer, widow with three children lived at Queensburg. Parents, Conrad Rickert and wife Elizabeth Haus, Child, Christyan born April 25, 1736; Sponsors; Norman Haus and Barbara Warner. Parents, Conrad Rickert and Elizabeth Haus: Child Anna Eva born Sept 15, 1731, baptized in Schoharie Lutheran Church Oct 5, 1732; Sponsors, Johannes Layer and Elizabeth Schaffer. Parents, Conrad Rickert and wife Elizabeth Haus; Child, Elizabeth, born March 19, 1733; Sponsors, William Fox and wife. JOHANNES RICKERT was baptized on 19 (?) May 1728, with sponsors Johannes Scheffer and Anna Maria (Schoharie Reformed Churchbook). He married Margaretha Catharina Jung on 14 Jun 1748 (Schoharie Reformed Churchbook). GEORG RICKERT was baptized on 7 Jul 1729, with sponsors Georg Zimmer and Johannes Layer (Schoharie Lutheran Church). He married Eve Staring on 21 Sep 1750 (Schoharie Reformed Chbk. ), and they had the following children: Elsie Rickert (b. 1751); Nickolas Rickard (1752-1820); Gertrude Richards (b. 1755); Elisabeth Rickert (b. 1757); Catrina Rickert (b. 1759); Jacob Rickert (b. 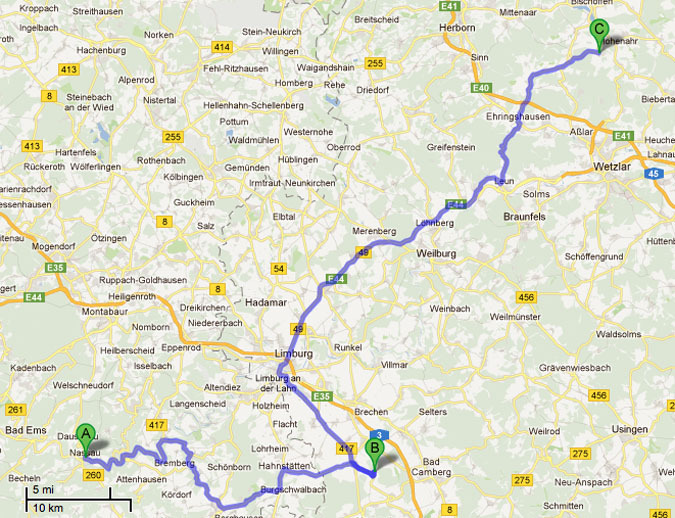 1761); Margaretha Greet Rickert (b. 1762); Johann Georg Reichert (1763-1833); Maria Rickert (b. 1764); Gertrude Rickert (1766-1850); Adam Rickard (1767-1837); and Anna Rickert (b. 1768)..
CONRAD RICKERT: Parents; Conrad Rickart and Elizabeth Hous; Children, Johan George and Conrad, twins, born July 7, 1728; sponsors; George Zimer, Johannes Layer (Lawyer), Maria Eliza Zimer and Elizabeth Layer. (Schoharie Lutheran Church). ANNA EVA RICKERT: Parents, Conrad Rickert and Elizabeth Haus: Child Anna Eva born Sept 15, 1731, baptized in Schoharie Lutheran Church Oct 5, 1732; Sponsors, Johannes Layer and Elizabeth Schaffer. (Schoharie Reformed Church). ELISABETHA RICKERT: Parents, Conrad Rickert and wife Elizabeth Haus; Child, Elizabeth, born March 19, 1733; Sponsors, William Fox and wife. (Schoharie Reformed Church) She married Rudolff Casman on 15 Jan 1751 at Schoharie Reformed Church. MARIA ELISABETHA RICKERTÙ was baptized when she was five weeks old, on 18 Aug 1734 at Schoharie, with sponsors Johannes Layer and Lisabeth Haus (Loonenburg Lutheran Churchbook). She married Peter Ecker on 10 Jan 1751 at Schoharie Reformed Church. CHRISTIAN RICKERT: Parents, Conrad Rickert and wife Elizabeth Haus, Child, Christyan born April 25, 1736; Sponsors; Harme Haus and Barbara Wannerse (Warner). (Schoharie Lutheran or Reformed Churchbook) Christian and Uriah Rickert were in Capt. Thomas Ackerman's Company in 1767 (Report of the State Historian, Vol. II, pages 846-47). 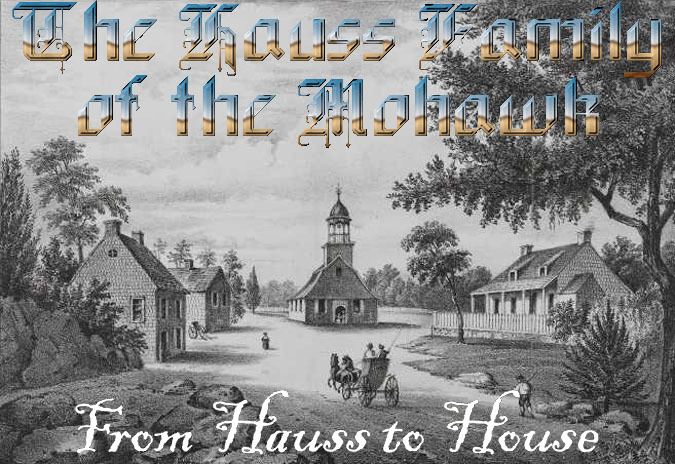 According the "The House Family of the Mohawk," Maria Margretha Hauß was born in Ohren, Ilsteiner Land in 1686, "and according to our genealogist married Peter Wagner, born Oct. 4, 1687. 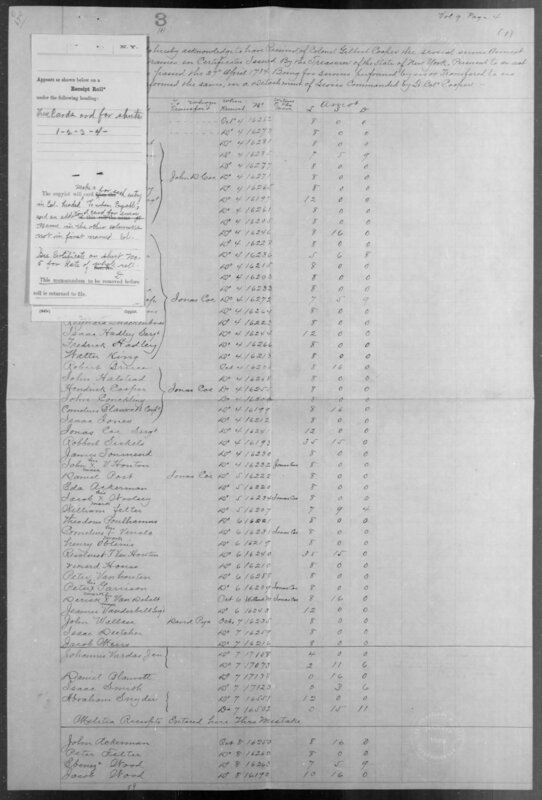 They had seven children born in America including Col. Peter Wagner of Palatine, NY... We have also other records which show the Wagner and House families very closely connected down through the early church records." Shaver's genealogist, Mr. Frank D. Duel, said, "there seems to be no doubt that Peter Wagner's wife was Maria Catherine Haus instead of Maria Catherine Loucks, the error taking place in misinterpreting the spelling of that period." For his part, Shaver said, "Personally I am unacquainted with the Wagner genealogy and am making no attempt to discredit any records or claims they may have but feel that Mr. Duel has good grounds for the position he takes." Please correct Mr. Shaver's statement in your paper of February 8th, 1933 under "House." The wife of Peter Waggoner was Maria Margaretha Laux and not House. Like Shaver, I make no claims to know the Wagner genealogy, and draw no conclusions, other than to say while Duel has listed Ohren ("B" in the map below) as the place of birth for Maria, just 65 km. from Großaltenstädten ("C"), it is also the area of origin for the Loucks (Laux) family, who lived around Nassau, just 42.5 km. away ("A"). Their family was also closely allied with the Wagners. I'll leave it to another family historian with more of a stake in the line to research this further. But I will note that in the wonderful book, PALATINE ROOTS: The 1710 German Settlement in NY as Experienced by Johann Peter Wagner, author Nancy Wagener Dixon notes that the Wagner and Hauss families remained close in the German settlements, no matter who married who. 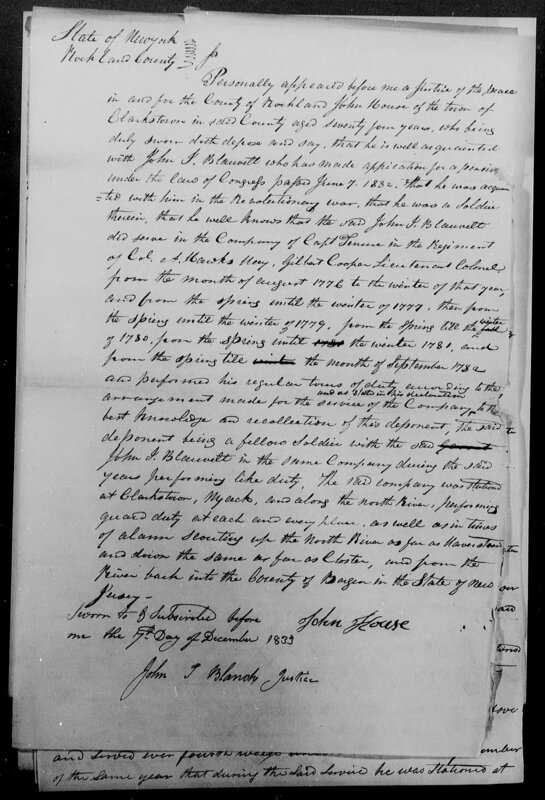 JOHN HAUSE was born in 1719, according to notes by Alfred Hause written in 1904, and based on notes by Lewis K. Hause and a family bible dating back to 1850. A "John Haues" was listed in an 1738 muster for the "Militia of the Wall a Kill" under Captain John Byard. John married a woman named Sarah, like his mother, and died either at the battle of White Plains, or in 1795, leaving this will. CATHERINE HAUSE was born in 1723. She married Andrew Secor in 1744. 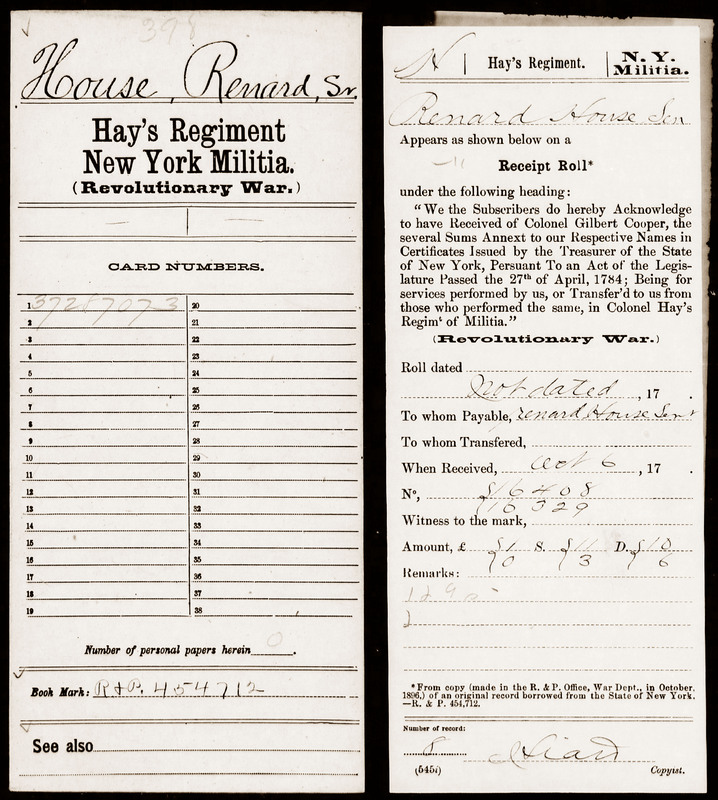 Possible matches for Andrew: A 3-year-old "Andrew Sycar" emigrated to America with his family by ship in 1710; an Andrew Daniel Secor, born 3/6/1758, entered service in Revolutionary War at Haverstraw, NY, m. Catherine "Hayes" (b. 29 Dec 1751 in Albany); He is listed in the 1790 census as Andrew Secor of Stillwater, Albany, New York. 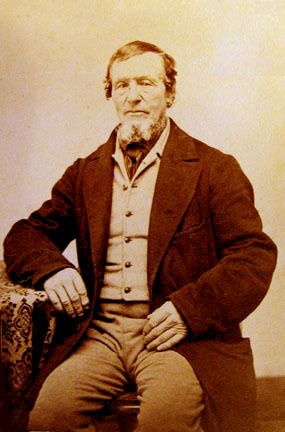 Later, he moved to Berne, NY with family and cousin Issac Secor, and is still living there in 1840, at the age of 87. Andrew and Catherine had the following children: Andrew R (1776 - 1862), Jesse (b. 1782), and Simon (1786 - 1850). Catherine Secor died on 9 Mar 1842 in East Berne, Albany Co., New York, and is buried at the Second Reformed Church. JOHANNA HAUSE was born in 1725. SALLY HAUSE was born in 1728. Married Amos Conklin in 1748. They had the following children: Johanna, John, Hannah, and Sally. 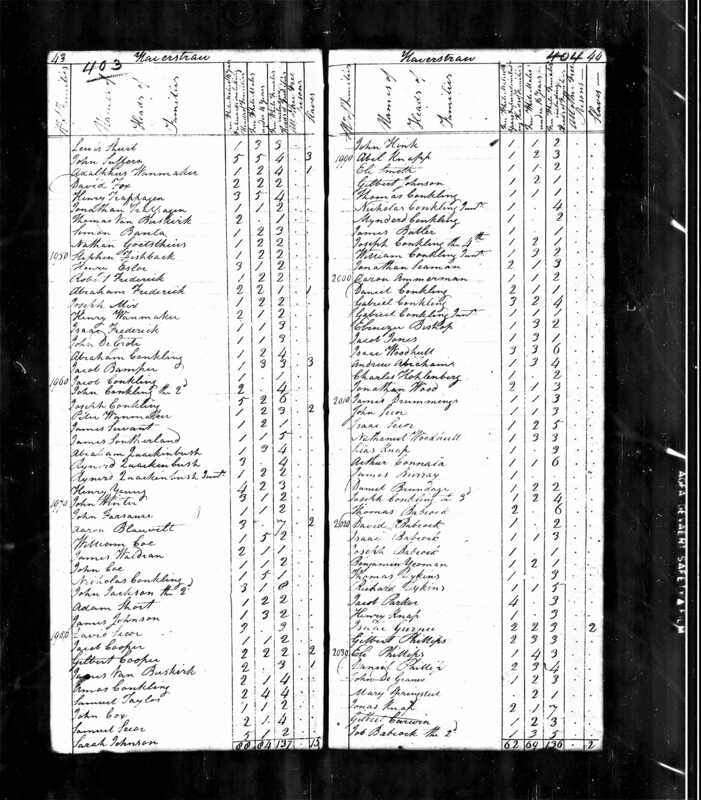 The 1790 Federal Census lists an "Amos Conkling" in Haverstraw, Orange, New York. In 1800, an "Amos Concklin" residing in Clarks, Rockland, New York. The 1810 U.S. Census has two Amos Conklins residing in the area: One in Monroe, Orange, New York, and the other in Phillips, Dutchess, New York. Both residences have the head couples listed as over the age of 45. WILLIAM HAUSE, born in 1730. The story of Johannes is mostly derived from family histories, passed down orally through the decades, and there is litle in the public record. We have the most confirmed documenation on Rheinhardt, Elizabeth, and Jurrian (George), by far. This is partly because of lost records, but also because by this time, the Palatines had migrated from the Hudson to Connecticut, Pennsylvania, New Jersey, and other parts. So it's fair to assume that the Hauß families that sprang up in in those sections all sprang from this one parent stock. And as they grew more distant geographically, the surname changed as well: "Hauß" had already changed to "Hauss" during the Atlantic crossing, and that spelling was eventually shortened to "Haus." Descendants in New Jersey and Pennsylvania generally kept that spelling (or added an "e" to make "Hause"). But "Haus" became the phoenetically obvious "House" in New York (and eventually spreading into Canada). Soldier in the New York Militia, as imagined by Don Troiani. CHAPTER FIVE: THE REVOLUTIONARY WAR, 1775 - 1783. The Haus family is ripped apart by wartime allegiances. Johann's Loyalist Great-Grandsons attack his Patriot Grandson's village. Brother fights brother. Cousin kills cousin. Grandson's son marries Great-Grandson's daughter. Holiday family get-togethers would never be the same! PLUS: William, Revolutionary War hero, of Hause Hill. ¹Just because a parent has more than one child of the same name does not necessarily mean that the first child of that name had died. According to genealogist Henry "Hank" Jones: "What is kind of wild to our 21st century minds is that sometimes parents would have two or three children and gave them exactly the same nameall of whom survived. The consensus is that they were playing their early version of 'Vegas odds': knowing about the high incidence of infant mortality and gambling that at least one of their issue might survive bearing a special family name that the parents wanted perpetuated. For example, Johannes Heiner/Hayner, a Palatine fellow 1709er of your Christian Haus, had two sons named exactly the same: Johannes, both of whom survived; the emigrant Johannes Heiner himself also had a brother Johannes who survived too." ²The list was a part of her "History of the House Family of the Mohawk Valley Region of New York State." according to family historian Jim House, who copied the list in March of 1998.